Flying Ship vs. Red Dragon TSR, Inc. This is an old favorite from the 1990 Forgotten Realms Calendar. 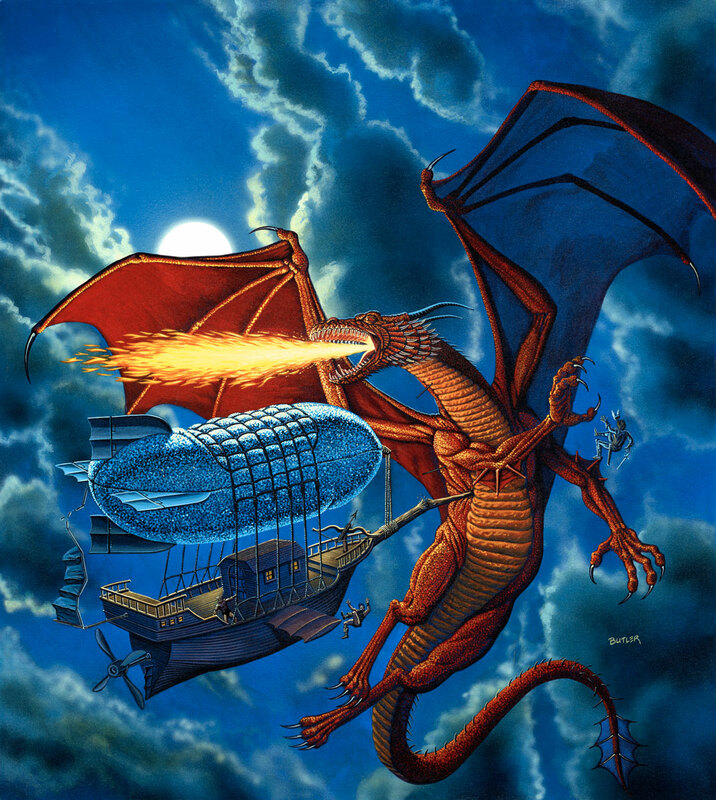 Funny thing about this piece: After 5 years in the TSR Art Department, this was the only dragon I ever painted. How does the blimp-like gas bag survive a dragon attack, you ask? It’s covered with silver-dragon scales, of course!